It’s one of the great and bitter ironies of our modern American policy debates that it is conservatives who are often the chief architects of the largest and least useful government bureaucracies. No, this is not intended as a dig at the military or our departments of transportation. Think about it for a minute: What is the chief function of our public bureaucracies? As anyone who has ever paid a visit to their local Social Security office or argued with a school secretary over a student’s eligibility for a reduced price lunch can attest, the answer (at least when it comes to safety net programs) is to jealously guard and carefully mete out public resources. If you’ve been lucky enough to avoid such experiences, think for a moment of your health insurance company and all of the people and bureaucratic process and jargon it takes to assess your occasional claims. Now, think of what that process would be like if you were a low-income person with limited education trying to access some basic assistance that might keep you from becoming homeless. Especially in the last few decades, as conservatives have raised ideological heck about supposed abuses of every public program from unemployment insurance to Medicaid to SNAP benefits, large and distrustful new bureaucracies have arisen to carefully pore over every application for assistance and monitor every program beneficiary to make sure that no one receives a penny more than the law allows. The basic theory at work here: God forbid that some struggling family with an income of 129% of the federal poverty level were to get the food assistance that’s supposed to go only to those with incomes of 125% of the poverty level or lower. Better to invest in dozens of new employees, rules and forms, goes the thinking, than to allow that to happen. It is with this background in mind that North Carolinians ought to approach and skeptically consider new proposals to impose work requirements on those who receive Medicaid benefits. As health policy analyst Dr. Ciara Zachary of the North Carolina Justice Center, explained in a blog post earlier this month, the Trump administration has recently proposed just such a requirement. In addition, the Cooper administration here in North Carolina has filed a proposal with the feds under which it would impose a work requirement as part of a plan to expand Medicaid under the Affordable Care Act. This would be similar to a plan Vice President Pence approved while governor of Indiana. This past weekend, the normally progressive editorial page of the Charlotte Observer endorsed the Cooper idea of a work-requirements-for-Medicaid-expansion deal by saying it would be a reasonable compromise. Though superficially appealing – particularly if one operates (like the Observer) with a burning and understandable desire for some kind (any kind) of policy compromise in these divided times – the hard truth of the matter is that the Medicaid work requirement is another bad, bureaucracy-for-bureaucracy’s-sake scheme. State experience in implementing the TANF work requirements suggests that adding similar requirements to Medicaid could cost states thousands of dollars per beneficiary. States would have to create new programs and hire new staff to track beneficiaries’ employment status and cut off their health coverage if they didn’t meet the requirements. The systems put in place to enforce the work requirement are so cumbersome and bureaucratic that people are likely to lose coverage due to the complexity of the system, not because they are ineligible. We know that for every additional piece of paperwork that is required, fewer people are able to secure or retain coverage. A work requirement compels people to submit documentation of their hours worked (sometimes from multiple jobs) on a regular basis. Failing to submit paperwork—even when they are working and meeting the work requirements—would cause people to lose their Medicaid coverage. As both Katch and Wikle report, the truth “on the ground” is that work requirements are not only expensive and wasteful, they’re utterly unnecessary. 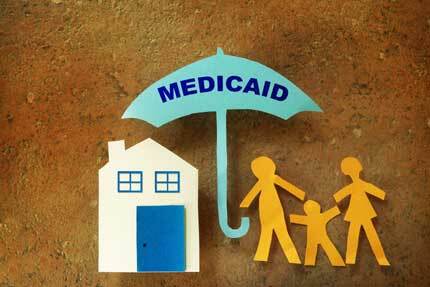 First of all, a huge proportion of the people who are eligible for Medicaid are children, pregnant or disabled. Moreover, three out of four nonelderly adults and children in the program already reside in a household in which one or more people are working. The problem, in other words, is not that North Carolinians do not want to work; the problem is that there simply aren’t enough available, accessible, and decent paying jobs – especially jobs with health insurance – to go around. If this weren’t the case, people wouldn’t need Medicaid! 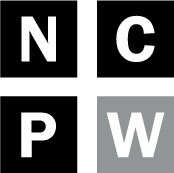 Check out the latest report from Dr. Patrick McHugh of the North Carolina Budget and Tax Center if you have any doubts about the state’s job market. In other words, helping people generally proves more successful and efficient in producing desirable outcomes than burdening them with red tape and threatening them with the loss of potentially life-saving health care. What a concept! At a base political level, the appeal of Medicaid work requirements as a middle ground “compromise” is somewhat understandable. As the good folks in the Cooper administration and at the Charlotte Observer would no doubt argue, there’s a case to be made for sacrificing some North Carolinians in order to help others. The argument is not wholly without merit. That said; North Carolinians should be under no illusion that such requirements amount to a good – or even benign – policy option under any circumstances. To the contrary, a work requirement for Medicaid will create large amounts of costly, wasteful and dehumanizing bureaucracy while assuring that lots of people who ought to be covered will die because they won’t be. And that‘s one hell of a price to pay for progress.